Would you like to learn how to win at playing Blackjack? If you have about five or six hours I can show you how. I offer no guarantees but at least you will learn a system that you can take back to your dental practice —and there I will guarantee the results. Fifteen years ago I wrote my first book, The Art of the Examination. In that book I explained what was to become the heart and soul of my practice for years…the key system to which all other systems were connected. Intellectually I totally understood the importance of the system and felt qualified to write that book. Like playing blackjack, I understood the rules and felt that if I just followed the rules I would win. But life doesn’t work like that and in dentistry and in games of skill...it takes practice. While playing Blackjack I noticed a few things…things that would prohibit other players from ever winning over the long run. They might win a hand here and there…but they would always leave broke, and mostly frustrated or angry. Like many dentists that I know…leaving work frustrated and angry. Let’s face it, who has the emotional temperament or resilience to keep going when you always get bad cards…or bad patients. What I realized is that we have little control over the cards or the next patient who walks in our door. And just what are bad cards? I have won when I had a 16 and the dealer showed a 10. I have won with 12s. I have lost with 20. In all of those cases I played my hands as “the book” told me to play…like the dealer (the house) plays. Like a robot, very boring. With patients the same thing…I have had all kinds of patients accept all kinds of dentistry…and have people who I felt needed and could afford good dentistry, refuse treatment. But I always played by the rules I developed in my book and I always did a comprehensive examination on every patient…no shortcuts. Like a robot. No deviation and my staff learned to align themselves around the examination process. I can write a book about that word process. I did. 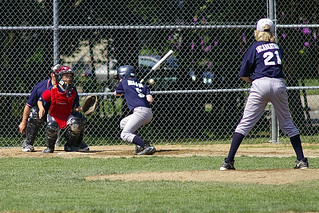 I told you if you want to win you had to commit to playing for a long time. As time went on I began to realize that I did have control over some things. At Blackjack I could control the amount that I bet. When the cards heated up I would increase my bet (press the bet for those of you who never gamble). Those players who never pressed, rarely won. Occasionally they would go for broke and put all their chips on the table…just when the dealer gets her third blackjack in a row. Sad to watch. Like busting before the dealer ever gets to play her cards. When I began to practice playing Blackjack and practice my examination skills I began to win more…and more. You can too. Last week as I was leaving the casino I saw one of those losers walking to his car and cursing at the moon about how unlucky he was. Then he steeped in dog pooh. I couldn’t help smiling because he knows how to play, yet all he needed was a philosophy and good systems. Then…I looked down and on the ground was a twenty dollar bill just waiting for a new owner…I guess you might say I am lucky. 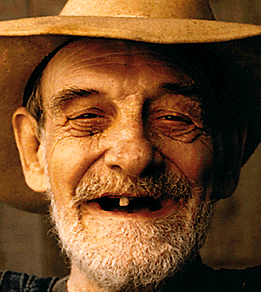 Every dentist has heard the story of the unlikely dental patient. You know, the old farmer who comes in wearing beat up overalls, doesn’t give much feedback and ends up getting full mouth reconstruction. I’ll bet that number is high. The lesson behind that story is “Never Prejudge.” And what a worthwhile lesson that is…but we just never seem to get it. And I’m not just talking dentistry here. We are built to judge…and prejudge. Malcolm Gladwell, the popular author of Blink The Power of Thinking Without Thinking, one of his many bestsellers based on some very interesting psychology research, refers to these snap judgements as thin slicing. Making these behavioral changes takes time…because our natural instinct is to thin slice. Most of our judgements come from visual cues, but when we give someone a chance to put the verbal and vocal information into harmony we may see a different picture. I know a dentist who made prejudgements by looking at the car the patient was driving. And this dentist actually lectures to students. When I first wrote The Art of Examination I thought it was overkill. Too much analysis at every level. Through the years though, by practicing what I preached, my experience with patients grew in a different way. I was able to become more intuitive, and although I still didn’t, and don’t make snap judgements, I find I get it right more often than not. So next time that old boy with the coveralls sits in your chair—take the time to listen. Don’t prejudge. I have found with all of the competition these days, that’s the one thing that will distinguish a dentist…no matter what the setting. If you’re content that the dentistry you are doing is better than the office down the street…whether they accept insurance or not…don’t be fooled. Patients who feel they are not being listened to will leave. Make that your competitive edge. Most dentists are always on the lookout for ways to increase their productivity. Today’s marketplace is overloaded with new tools to make the dentist more efficient. 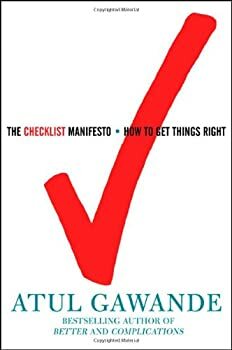 An alternative to efficiency, and one I have been obsessed with since reading Covey’s 7 Habits twenty five years ago, is effectiveness. Becoming more effective trumps efficiency everyday, and it doesn’t require a huge investment in technology. Efficiency is the language of hardware, machines and computers, but effectiveness has its own language…the language of human interaction. Years ago practice management people taught dentists to “fill their chairs” with warm bodies. Ergonomics, the study of people’s efficiency in their work environments was all the rage. I was there when four-handed dentistry was actually a fresh concept. I started in dentistry when most of my colleagues were still standing. Ergonomics in dentistry helped dentists become more productive while staying pain-free (their back pain, not dental pain). Today, we have all kinds of gadgets and devices that promise to make our work easier, but I’m not sure if it will make us more productive. Production is a function of effectiveness. That is why I placed so much emphasis on the complete examination…because it is still, when done correctly, the most efficient way to create effectiveness in a dental practice. Yes…the complete examination is and always has been the Ultimate Productivity Tool available to a dentist…and it’s so cost efficient. For many dentists it sounds counter-intuitive to spend so much time doing a complete examination when they could be producing real dentistry. I agree that the exam is not very productive, but it gives the dentist the capability to produce so much more dentistry. How would you like to spend every morning doing implants, crowns and veneers? Not only is that dentistry more effective for the dentist and the patient but it is meaningful as well, and when a dentist spends time doing meaningful work…well that’s just what happy dentists do. So what is the rationale for doing the complete examination? It allows the dentist to slow down and create a trusting relationship. It allows the dentist to think…to take the time to make the most rational decisions about patient treatment and care. 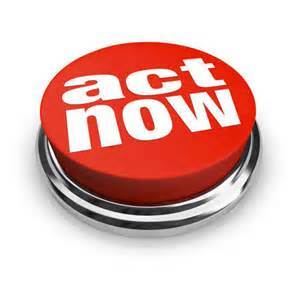 It is sacred time, so that it can’t be interrupted with distractions, allowing for more focus. The dentist preserves his or her mental energy and can preserve energy for when it’s most needed. The exam helps the dentist organize and align the practice so everyone knows exactly what their role is at all times. I could go on and on…I actually have in my book The Art of the Examination, because it is an art. With practice this art becomes the Ultimate Productivity Tool. I felt I needed to write this blog post to remind dentists of the importance of the comprehensive exam in this rapidly changing world of dentistry. This will never change. Breaking rules always comes back to bite us. All patients come into my practice through my new patient examination process. Except this one time! 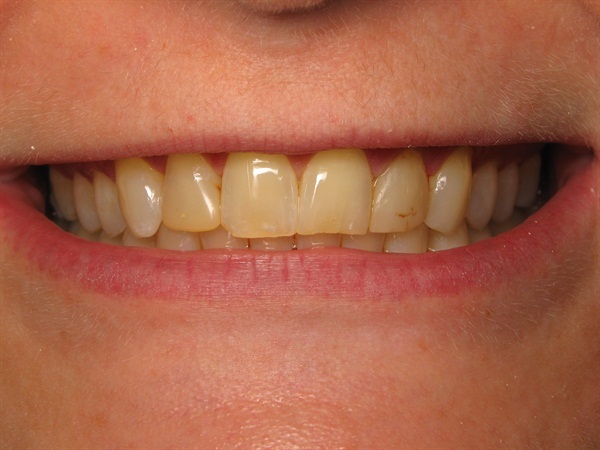 The patient wanted a cleaning and then have her teeth bleached. She had a baby at home and time was a big issue…so we allowed it. Her first appointment was for a cleaning. When I did my examination I noted significant wear for a thirty two year old. I backtracked and told her I needed to do a complete exam, which she scheduled. On the morning of the exam, I overheard a conversation between her and my receptionist. The talk was all about insurance. If I’ve heard it once…. This time however I saw the image of that Gary Larson cartoon of a dog owner explaining to his dog Ginger what she should and shouldn’t eat (no porkchops Ginger – they cause pancreatitis), and what Ginger hears (blah, blah, blah, Ginger, blah, blah, blah…Ginger). In other words, it’s hard to train dogs and it’s even more difficult to lead people. The information my receptionist gave to the patient about dental insurance was just perfect. All she heard was what the insurance covered…next to nothing. So I did my examination. It was great. A wonderful opportunity for the patient to understand her own mouth and good dentistry. Everything went as expected: sore tight muscles, a centric slip, clicking on opening, significant wear. Then I noticed something on her x-rays. She had no fillings, but she did have four crowns and two root canals. She said it was because of the grinding and the wear. Then she put two and two together…the slip, the clicking, the wear the sore muscles…and now the history of pain. The ravages of occlusal disease! No one had ever done a comprehensive examination for her. I felt she really appreciated the diagnosis. This is what dentists are up against these days. When I thought about the insurance conversation and the examination I thought of the The Ten Commandments…you know the scene in the movie in case you never read the Bible, where Charlton Heston (playing Moses) comes down from the mountain with the two tablets. 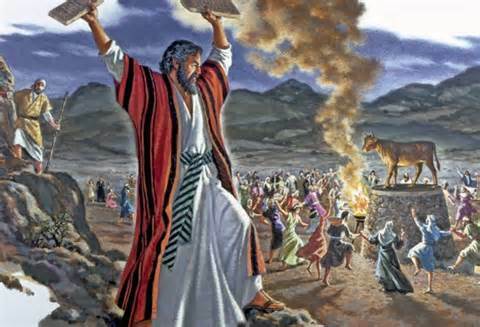 Do you remember when he raises the tablets and smashes them out of frustration because the people were worshiping a Golden Calf? Well, at that moment I felt like Moses…frustrated, alone, trying to convince yet another patient of the principles of dental health when all they’re interested in is the false gods of insurance and cosmetics. Leadership is a lonely line of work. But it is the most important work we do. The definition of a leader is a person who has followers. People will follow when they get to know, like and trust…that you will lead them to the promised land…instead of the land of four crowns and two root canals. I wish our education system put more emphasis on leadership instead of trying to get these lessons out of watching old movies. Maybe then the idolatry will end. The second a dentist sees teeth he wants to fix them. I guess it just comes with the territory. Or is it just good old American pragmatism. I used to be that way until I took the time to really understand people. That thought process lead to the writing two books, The Art of Examination and the forthcoming Art of Case Presentation. The photo on the right was recently posted on Dentaltown. The post was titled, “She Wants No-Prep Veneers–What Would You Do?” It spurred a slew of comments that caught my attention. The comments answered that question…it was Lumineers she wanted. That’s for the dentist to find out from the patient. Even the guy at Home Depot asks what I am going to use the quarter-inch drill for. The comments in the post are fairly enlightening. Most of the commenting dentists wanted to do bleaching or orthodontics. Many voted against any veneers at all. Reading through the comments lead me to some perceptions about the state of dentistry. One thing I see is that most dentists truly want to stay with conservative treatments…bleaching and orthodontics. I feel the same. However the public’s perception is that dentists tend to want to destroy teeth. I guess that’s why the media portrays dentists as “drilling for dollars.” The comments confirmed what I have always felt about the dental community…that they are caring concerned professionals who want to help their patients. Another thought I had was how obsessed we are with whitening teeth. Have we been lead to believe that whiter teeth equals cosmetic dentistry. I am sure that if a dentists had a serious conversation with the patient she would come up with a few more things than just whitening. Stop looking…this isn’t about fixing her…it’s about understanding her. Who is she? Dentists should REALLY get to know their patients...it’s part of the examination and diagnosis. Only then, once we have articulated the problem…can we present the case. In order to do that we must approach our patients without an agenda…like the guy in Home Depot. Another thought, which was also expressed by the author of the post, is that the patient came in with a knowledge of Lumineers or no-prep veneers. Okay, I know the various methods to treat prostate cancer but I will always defer to the professionals to help make my decision. The state of advertising in health care these days is a blessing and a curse. Doctors must work through it…by becoming better leaders and staying true to their diagnostic abilities...above all to keep the human component in dental care. It can be difficult for patients to choose a dentist these days. The Internet is filled with photographs of beautiful dentistry. Dentists and technicians share their best work with the world online. Patients take a look at the photos and judge the quality of the dentist, and the practice by the quality of the photos. In a new book, The Art of Thinking Clearly, author Rolf Dobelli discusses 99 ways that we make mistakes by not thinking clearly. Dobelli does a great job of using entertaining examples of how we think about things that lead us to making poor decisions. One such bias, he calls the outcome bias warns people to never judge a decision by its outcome. Imagine there was a sample group of 1000 monkeys, and you asked them to speculate on picking stocks by throwing darts at the Wall Street Journal. What happens? After one week, half of the monkeys show a profit and another half show a loss. We carry on the experiment until we eliminate all of the monkeys but one. You know how that works, you’ve seen reality TV. 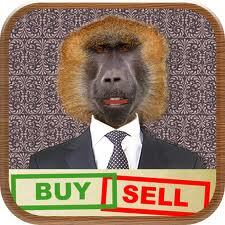 At the end…the remaining monkey is next year’s Warren Buffet (take a look at the photo). The media is all over him. He becomes a guru. The big guy on Wall Street. The reason this happens is that we tend to evaluate decisions based on the result rather than the decision making process. Don’t laugh, we see this all the time on Wall Street. The analyst that predicted the crash becomes the next guru. It happens in dentistry as well. We see these gorgeous photos and believe the dentist is Picasso rather than asking how he got there. What was the process…because process is what breeds consistency. Dentistry has evolved to promote this type of thinking. The cosmetic revolution, advertising and the Internet have allowed snapshots to sway patients to make decisions. There was a time when patients chose dentists for their wisdom and judgement…two traits that don’t seem to be valued these days. Process is the key. In choosing a professional the patient should be more interested in the process the dentist used to get the result rather than the result itself. All dental practices are based on some philosophical principles that lead to consistent behavior that produces outstanding results consistently. 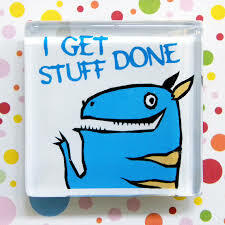 As a practicing dentist, a teacher/coach and a lab owner, I am convinced that the dentists who are most successful are the ones who create and execute a process. Anyone can do a beautiful case occasionally. My advice: commit to an examination, diagnosis and treatment planning process.